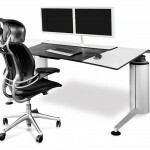 We live and work in an interconnected world in which accessing every corner of it is becoming increasingly easier. 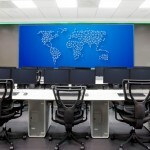 Companies with offices in different locations find in telepresence rooms an optimal solution to have effective meetings without the need of moving around. 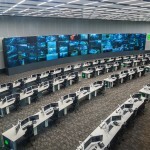 Telepresence rooms are becoming more common among companies because they facilitate effective and top quality communication, creating immersive experiences while saving time and money. 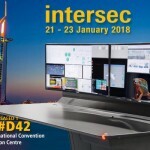 The technology of the AV systems improves with each passing day; however, when designing this kind of rooms, we must consider some specific aspects or needs. Sound: Technology serves communication. 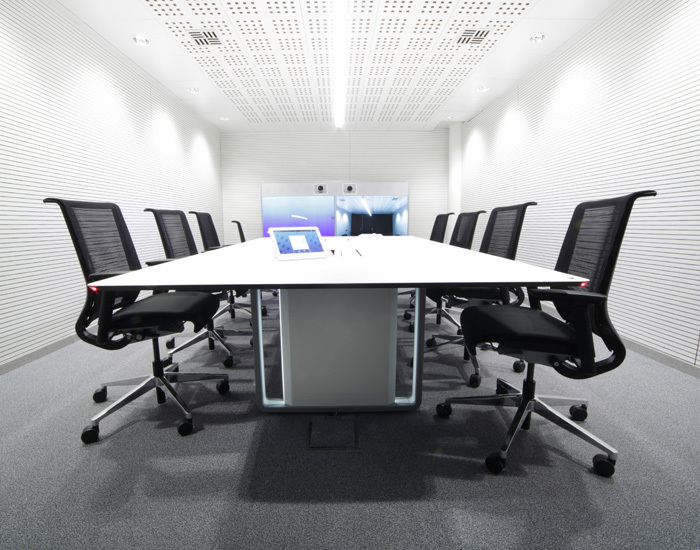 Telepresence rooms must feature professional microphones to help cancel the noise from the conversations in order for them to be fluid. Speakers will also be a key element to consider in order to insure fluidity in the communication. Audiovisual: LCD display systems that allow interactions between the interlocutor and various people. Also, cameras that must broadcast a high definition image and facilitate understanding. Connections to share. Besides establishing audiovisual communication, it is interesting to have the ability to share information in real time, such as pictures, videos, documents or charts; this way, we generate highly collaborative meetings. 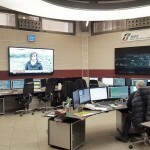 Quality of internet connection: We must have a connection capable of supporting this kind of video conferences and the exchange of information between the participants. Information visualization systems and services. The ability to launch or visualize content in real time within the conversation, such as charts, view software or a browser on the same screen in which we are watching the interlocutor and being able to share information with that person. 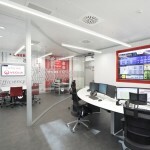 A great example of the balance between ergonomics, technology and functionality in this kind of rooms is Acciona, one of the main Spanish corporations that needed to install a telepresence room in several of their offices. 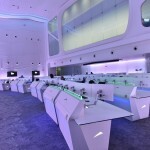 In this case, GESAB took on the challenge of designing a telepresence table that would adapt to the client needs. It was very important to provide a connection area (power, USB ports, audio, voice, etc.) for the participants and make sure they were able to interact with the interlocutors sharing information in real time. The telepresence table designed by GESAB was based on the structure of an Advantis NG, on top of which a phenolic panel is installed to hide all the elements, such as wires, microphones and speakers. 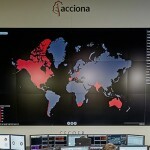 In addition, the customization capabilities were taken advantage of by adding a backlit Acciona logo. After Spain and Mexico, GESAB will continue to collaborate with Acciona to install these customized telepresence tables in all of their offices around the world. The truth is that the time saved in moving around to attend meetings, as well as in meals, and the comfort and ease of communication provided by present technology have made this kind of rooms have increasingly more presence in companies of all industries, all around the world.